If you use Facebook then I am sure that you have already played most of these games. These games are so popular on Facebook that they have got millions of users in a short period of time. If you really have a lot of free time then you may start playing these games but don’t play so much as these games are so addictive that it becomes difficult to stop playing these games later. Farmville is the most addictive and most popular game on Facebook with over 72 million monthly active users. In Farmville, you are given a small piece of land and some coins to start the game. You have to plow your land and plant crops to earn more coins and experience. When the crops are grown you harvest them to earn the coins. You can use these coins to buy new seeds and to buy new items from the market. You can also plant trees. In the higher levels when you get bored with plowing your land with your hand then you can buy tractor to plow it. There are two similar vehicles like harvester to harvest the crops and seeder to plant the seeds. You can also earn some coins and experience with the ribbons. As you progress through the game you can collect ribbons such as yellow, white, red and blue ribbons for completing certain tasks. Each time you get a ribbon you are also awarded experience and coins. 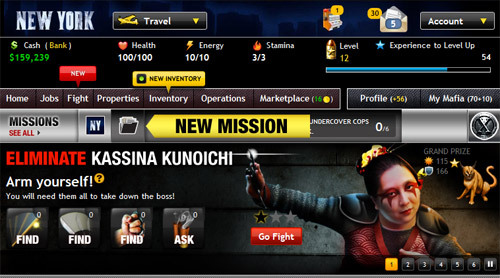 Second most addictive game I found on Facebook is MafiaWars. Mafia Wars has got 27 million monthly active users. In this game you can be a mafia boss and you have to create your own Mafia from your friends on Facebook. Personally I don’t like this game as it is a text-based game and it do not have any character to play the game. You earn money by doing jobs that you can use to buy better weapons. By doing jobs and fights you earn experience and like in other games this experience helps in moving up to higher levels. You need energy, stamina and health to do various jobs. Happy Aquarium is one of the fastest growing games on Facebook with over 27 million monthly active users. 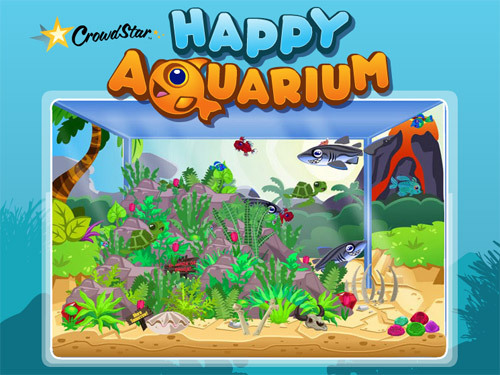 Happy Aquarium by CrowdStar is better than the similar fish inspired game FishVille. You are given a fish tank and some coins to start your game. You can purchase your own fishes from the store and train them. The store has wide variety of fishes. The started tank can hold 10 fishes but as you progress through the game, you can expand your tank by earning some coins. You can decorate your tank with gravel, wallpapers or some special items that can be purchased from the store. You need to feed your fishes daily. Tank also get dirty with time so you should also clean it regularly otherwise your fishes will get sick. When your fishes become adult, you can mate the male and female fishes of same species. Fishes are only allowed to mate once a day. Pet Society is another popular and addictive game by PlayFish with over 21 million monthly active users. In Pet Society like any other game in this category create your own pet, name it, feed it etc. Earn coins and use these coins to buy food, clothes and furniture for your pet. To earn the coins you can tell a joke, hug, dance and even kiss your friends’ pets. Texas HoldEM Poker by zynga has got 20 million monthly active users. Zynga poker is made for poker lovers. You need not to exchange the real currency to play this game. It’s a game of real fun. 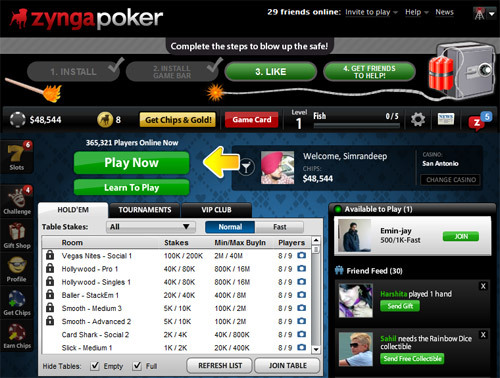 In Zynga Poker, various tournaments are offered to the players. You can join a tournament at any time. In short zynga poker provides real entertainment to its users. Farm Town is developed by Slashkey. It’s similar to Farmville by zynga. 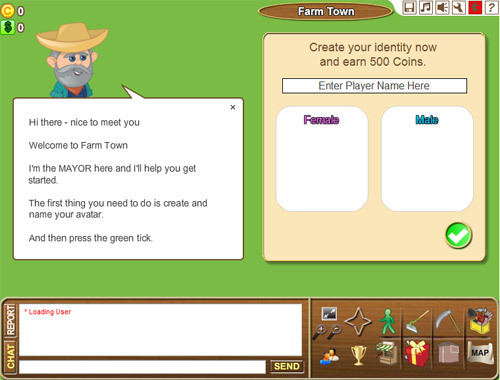 Farm Town has got more than 18 million monthly active users. The strategy of the game is same to build and maintain your own farm. Plow your land, plant new seeds and harvest the crops. Both games are almost same with few difference that you can try yourself. YoVille is another game by zynga with more than 18 million monthly active users. YoVille, PetVille, Pet Society all these games are similar to SIMS. 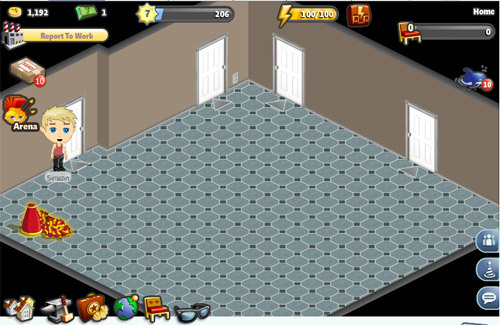 Well YoVille is a game where you are given an apartment to start the game. You have to earn money to buy furniture and clothes. To earn money you can work at the Sweets Factory or try your luck at the Casino. You can wander around the city and visit various places like Casino, YoDepot, Speedway, Music Store, Salon Furniture store, Sky Nightclub. You must buy food to increase your energy. Happy Pets is developed by the developers of Happy Aquarium and it has become the popular game by the same developers with more than 17 million monthly active users. In Happy Pets, you are given instructions to adopt your first pet to start your game from the store. Currently they have only cats in the store but in the coming future they will also give the option to adopt the dogs. You can pick your cat from several choices. After adopting a pet, it needs food and you have to feed your pet regularly. You are also given a litter box that you must clean regularly. All such activities will earn you some coins. You can also rename its name and change its room. Your pet also needs your touch so with the touch icon you can give your pet your touch. From the store, you can buy Food, Adopt a pet, buy furnishings and accessories. Fish Wrangler is another popular game on Facebook. Fish Wrangler is a game about fishing, the thing that we usually don’t like to do in real life but we enjoy it in games. You are allowed to go for fishing every 15 minutes. The countdown timer on the right hand side will let you know when you fish. You will not catch a fish every time you go for fishing. The important thing in this game is to expand your crew which can be done by inviting new friends to this game. 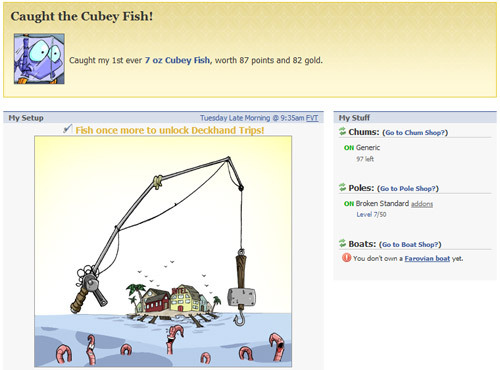 In this game you can earn more points and gold by catching different fish. If luckily you get a rarer fish, you will get more reward for it. As you advance in the game, your points and gold will increase accordingly. 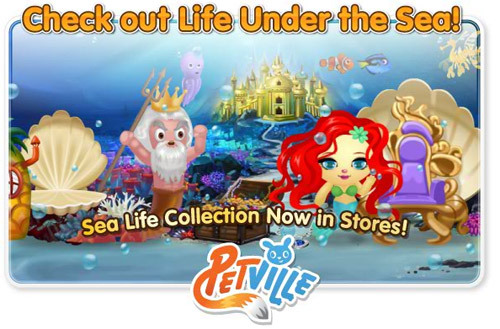 Petville is latest addition by zynga. When I started using this game I got addicted to this game. 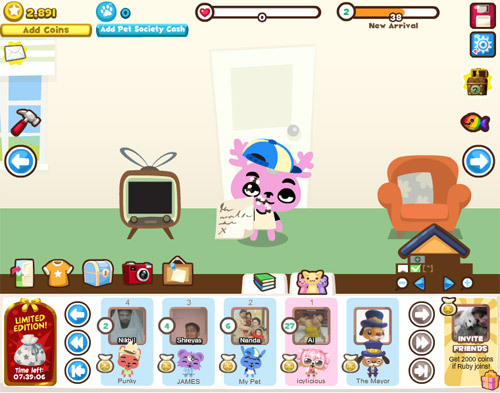 Petville is the game where you can create and dress your own unique pet, feed and clean your pet, decorate its home visit other neighborhood pets. Unlike Farmville, you earn Love Points instead of experience as you progress through the game that unlock new items and features. You also earn coins for doing various activities like visiting neighbors, feeding your pet, cleaning its home etc. You can use these coins to buy fun new clothes and furniture for your pet. So to which game are you addicted? I am in love with Mafia Wars…. I play it every few hours… i am addicted to it…. .-= Pavan Somu´s last blog ..Give Away: Get Free Licence of WinX HD Video Converter Worthy $39.95 =-. .-= S.Pradeep Kumar´s last blog ..Top 10 Blogs Not Using WordPress Platform =-. I am too addicted to FarmVille. Its one of the best games on facebook. .-= Rajesh Kanuri @ TechCats´s last blog ..How To Add Snow Effect For Christmas In Blogger (BlogSpot) Blogs =-. @ Rajesh, few people suggested me that it’s better not to try these games, they are 100% addictive. I know that’s you and pradeep who advised me. lol. Good thing I did to facebook games the way I did to cigarettes. I didn’t take that first puff. Otherwise, I would have ended like my wife and kid who are now undoubtedly farmville addicts. I get a daily barrage of invitations for games and causes in my facebook account but I have to click the ignore button each time because I know I’ll be hopelessly hooked if I even consider checking it out. .-= James M.´s last blog ..Help Save MySQL =-. .-= srivathsan.GK´s last blog ..Solution : Errors while Downloading Zip file ? =-. Farmville is a great addictive game but after they reached to particular level it get so bored. .-= Mathan raj´s last blog ..what is Googlegooglegooglegoogle.com =-. You are right. I have reached level 33 and now I’m getting bored of it. But I enjoyed this game till level 33. I’ll recommend not to try them. These all games are really addictive. I love my family and friends, but, PLEASE…Use FACEBOOK to post pictures and comments…not invitations to farmville, yoville, and other annoying games. Nice list. 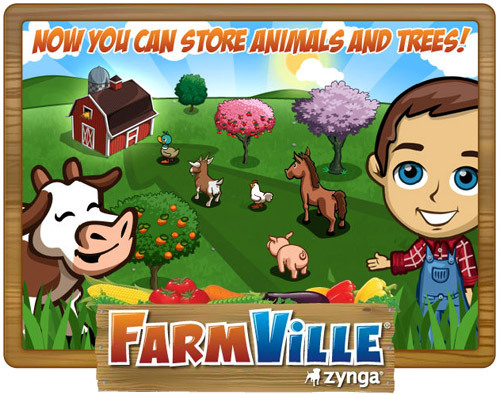 It’s amazing how well Farmville has done, such a simple concept but so poplar, as is Zynga poker (in fact most of the Zynga games). Couple more I would add – Who Has The Biggest Brain? and Treasure Madness, both very popular and well produced. .-= Billy Flash´s last blog ..Scotty Nguyen =-. .-= Bill Deakin´s last blog ..Profits from Flash games? =-. hey! if most of the people don’t like searching and totally fade up of this so this a very good side without any waste of time everybody see the picture and click the link to enjoy game easily. .-= facebookguru´s last blog ..Facebook widgets development company | Facebook Guru USA =-. Mostly People play the Farm Villa.I am also addicted person for Farm Villa games.That games is very interesting.People like it very much. I like goldminer game. It’s good one. I have already played FarmVille but didn’t heard about the rest of the games so I am going to try them now thanks for the share.